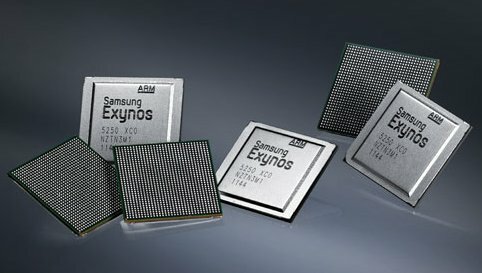 Sammy Hub reports about Samsung's new Exynos 5250 SoC, these chips feature dual-core ARM Cortex-A15 chips clocked at 2GHz. The chip will be used in high-end tablets, mass production will start in Q2 2012. The dual-core Exynos 5250 is created using a 32nm-low power HKMG process and is said to double the performance when compared to a 1.5GHz dual-core SoC based on Cortex-A9. In addition to improved processing performance, Exynos 5250 features graphics performance improved by four times compared to Cortex-A9-based Application Processors, supports stereoscopic 3D displays and a display resolution of up to WQXGA (2560×1600).